In 1862, Dupré Barbancourt, a native of the Charente region in France, put the finishing touches to a recipe for rum that still bears his name today. Using a double distillation method usually reserved for the very finest cognacs, he discovered a rum of incomparable quality that has always received the highest international distinctions. Dupré Barbancourt left no heir and when he died the company passed to his wife Nathalie Gardère who managed it with the help of her nephew, Paul Gardère. When she died, Paul then directed the company’s destiny until 1946. 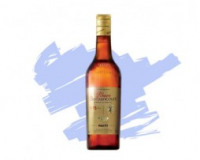 At this time Rhum Barbancourt’s distillery was still located on le Chemin des Dalles in Port au Prince and only produced a limited quantity of rum. The older aged rums being exclusively reserved for family and friends. Paul then died in 1946 and his son Jean Gardère took up the baton, furthering the family tradition until 1990. An entrepreneur and a visionary, Jean Gardère was the instigator of Rhum Barbancourt’s modernization. In 1949, he relocated the distillery at the heart of the sugar cane fields of the Domaine Barbancourt. When Jean passed, Thierry Gardère took over and today, this fourth generation man of the Gardère family leads the company with his commitment to quality, fine natural ingredients, craftsmanship and the unique cognac-based production process that has ensured la Societe du Rhum Barbancourt has grown to become Haiti’s leading brand of rum.